On an invitation from a friend many months ago I realized Hsinchu actually has quite a few interesting sites. 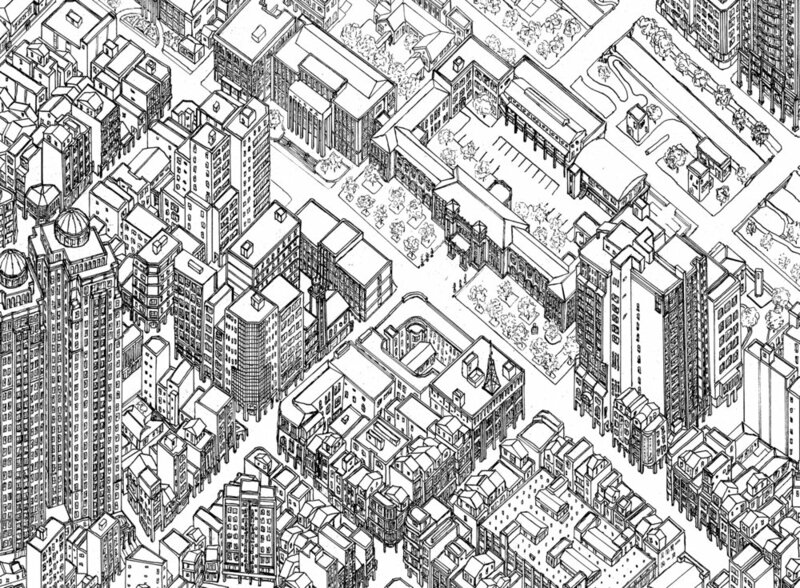 I also liked the general shape of the city, with the outlines of two different city walls visible in the street plan. Hand drawn in pen using photos from various walks.